I’ve been a user of CMS (content management systems) building many websites for over 10 years. In that time I’ve primarily used Drupal and WordPress for most of my projects and tested many other systems along the way. For my most recent work project we’re using a new methodology for building our site called “headless” (or decoupled) where there is a clear separation between the front-end design and back-end data and logic. This is an interesting concept that I think will continue to evolve and gain adoption. But for this post I wanted to focus on a project where I just wanted to create a simple one page website easily and cheaply. Drupal and WordPress are great CMS’s but are overkill for a project like this. So I started by looking at what my awesome hosting service SiteGround, which I use for WordPress and Drupal sites, to see what they offered. It turns out that they are white labeling a popular website builder service called Weebly and while it was fairly easy to setup the site, they didn’t offer some of the features I wanted in the free version. I’d have to upgrade to a $7.42 per month plan to get them. I didn’t want to pay that much for a simple one page site. So I began doing research on other site builder services. I found several round-up comparisons (See 1, 2, 3, 4) and discovered many of the same services included. If you’ve gone down this path then you’re probably familiar with some of them. Squarespace, Wix, and Weebly were mentioned often. After comparing features, pricing, and testing several of them through free trials, I was impressed but felt they still were a little overkill for what I was looking for with prices ranging from the lowest at $5/month which I felt was a still more than necessary for my simple needs. I decided to continue looking a little further to see what I could find. I then turned to Product Hunt which is my favorite site to discover new products. After checking out over a dozen additional services I came across an amazing one in Carrd. I tested it out by creating my site and found the user interface to be great and very simple to use. After creating the page I started to make the minor tweaks which is usually where you can distinguish ease of use when comparing page builders and Carrd knocked it out of the park here. While the free offering had the same limits of most services the pro offering was very compelling. Carrd allows you to create and host 10 websites with your own custom domain for $19 per year. Yes, I said YEAR not month. No other service that I tested or found offered anything near their feature set and price range. The pro service also offers some great add-on features for your website including simple forms, Google Analytics site tracking, and custom sharing options for social media sites. I’ve used Carrd to build 2 websites so far. The first was after I read M.G. 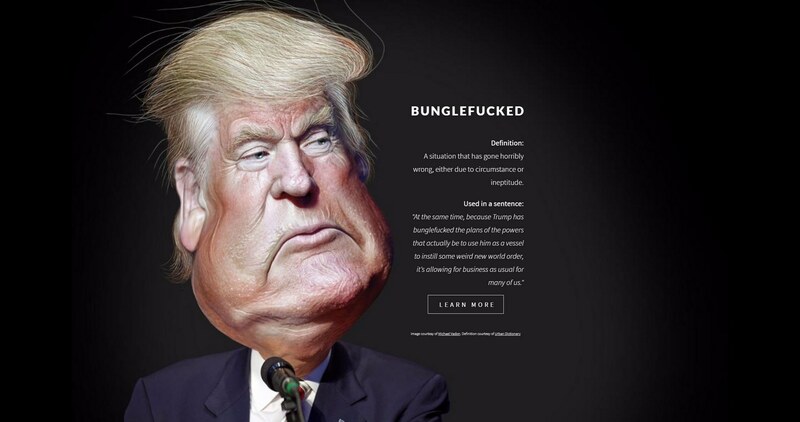 Siegler’s post where I discovered the word Bunglefucked. I had never heard this colorful and thought evoking word before. So as I sometimes may do, I checked if the domain name was available and was surprised that it was. I was inspired and registered it over at Namecheap which then motivated me to go on this journey to find the right tool to create a site for it. I’m also happy to say that my site for Bunglefucked is currently the 5th search result on Google. The second site I created was for PCXT.com a domain I’ve owned for years. It was a remnant domain I still owned from back in the day when I fancied myself as a domainer. 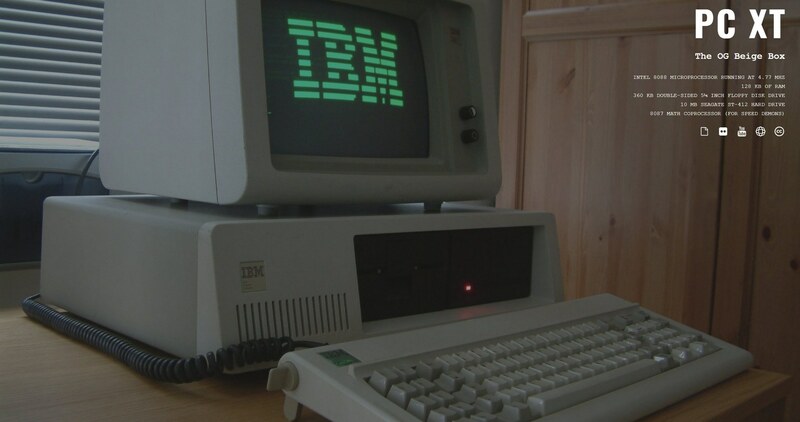 Carrd gave me a great way to create a site as an homage to this historic computer. Shout out to an awesome show that captures the dinosaur days of computing, Halt and Catch Fire. Here’s a quick demo I created that just scratches the surface a bit to show you the features and how easy it is to create and edit a site. Carrd is a solo development project created by AJ and in an eating his own dog food way he used Carrd to describe the creation of his project. You can also follow him on Twitter where he posts updates and is very transparent about the growth of Carrd. If I’ve piqued your interest you can either go ahead and get started creating a free site or you can learn more by reading this great review of Carrd over on the One Page Love website.